Anxiety. Overwhelm. Sadness. Guilt. They’re always there lurking but like an unwelcome guest they’ve been popping up again lately. Surprisingly this time they’re also accompanied with their polar opposites. Excitement. Happiness. Expectation. Intrigue. The reason being? School. The biggest small is starting school after 2 more sleeps. For 4 years he’s attended the same nursery from the baby room right through to the preschool room. We had a good little routine going on with his group of friends, and in turn the parents of those friends becoming my friends. He was probably ready for school last year but as a November baby he spent another year in the preschool room. 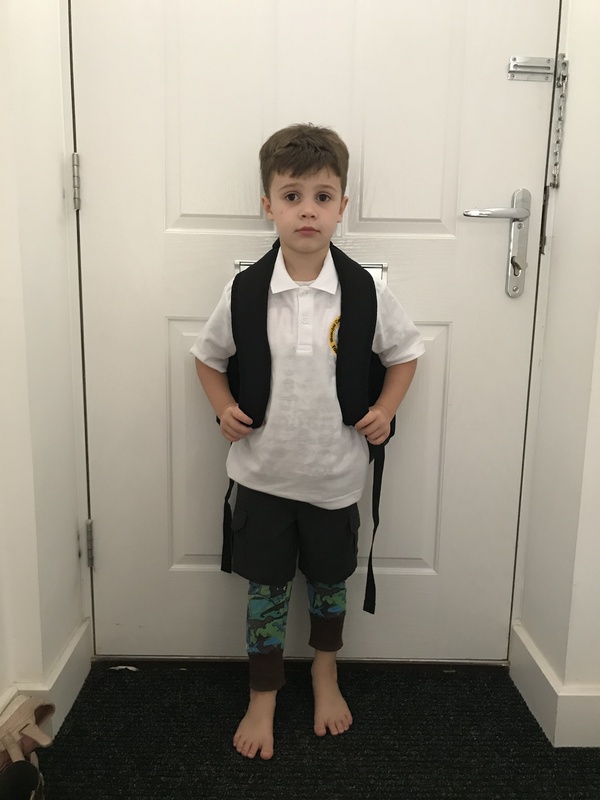 For ages I kept saying how ready he was for school. All very well until it’s actually happening. Is he ready? Parents evening at the new school and I was so excited to see all the opportunities that would be afforded to him. At this point I was genuinely excited for him and ready for him to move onto school. But this feeling changed. It started with the nursery graduation back in the summer. All of a sudden I saw a more vulnerable side to my boisterous instigator of fun. He didn’t want to sit with all his friends unless I sat with him. He didn’t want to stand up and sing with them. When I asked him why he said there were too many people watching him. It dawned on me that his time at preschool was coming to an end and him and all his friends would be moving in separate directions. How is he going to manage in a class double/triple the size of what he’s used to only taking one friend from preschool with him? That day triggered all the memories of the many drop offs and pickups over the past 4 years. Never knowing if he would go bouncing in without so much as a second glance or whether they’d have to peel him off me, pleading with me to stay whilst I drove to work sobbing guiltily and then attempting to shield my red eyes from my colleagues and present a professional image. End of term meant he dropped from 4 days to 2 days. This was exciting as it meant we got to spend more time together. We went into town to buy his first school uniform. Just him, me and daddy. We wanted him to feel special and grown up. Clever merchandising having to walk through the toys to get to the school uniform section but the bribe of a new dinosaur meant a relatively compliant trying on session. A trip to Clarks to buy the first proper pair of school shoes. And then the obligatory photo donning all the new kit, on his terms of course. And then we forgot about it all for a bit and went back to normality. That was until the week of his last two days at preschool when I could only describe myself as an emotional mess. Everytime I thought of school, or his time at nursery, I would be overcome with emotion mostly resorting in ugly bogie snorting crying. 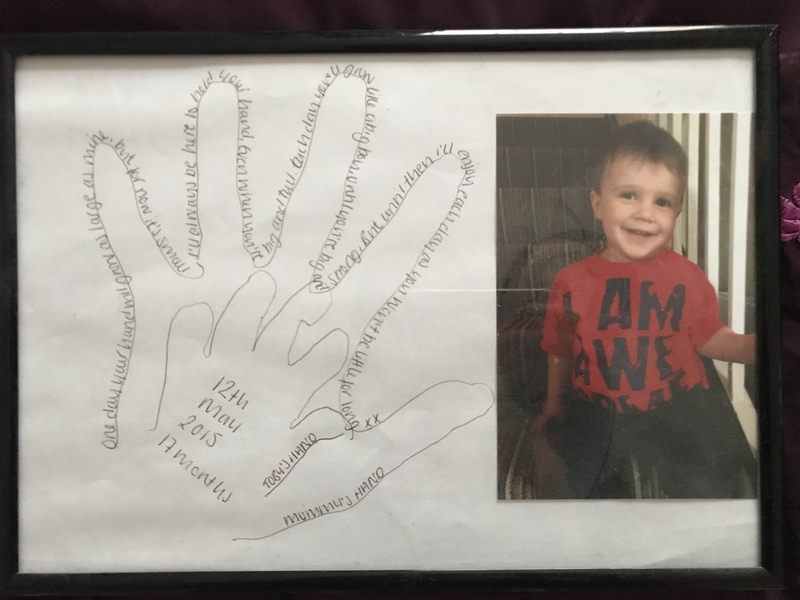 A hand print and poem I’d made when Toby was 17 months old became more poignant. One day your hand will grow as large as mine, but for now it’s small. I’ll always be here to hold your hand, even when you’re big and tall. Each day you’ll grow like a big boy, until you’re big and strong. But until then I’ll enjoy each day as you won’t be little for long. On his last day I put on a brave face but I kept thinking ‘This is the last time we’ll do this routine’, This is the last time I’ll drive up this hill’, This is the last time……. He was excited to go in equipped with his radioactive coloured blue paw patrol cupcakes we’d made the previous evening for his mates. His parting gift sending all his mates bouncing off the walls. At pick up I was so choked up I couldn’t even look at the staff, much less thank them for caring for the most precious being in my life. I’d deal with that in an email. He asked me to read a card his key worker had given him. ‘Mummy, why is your voice sounding funny?’ (Because mummy is seriously close to losing it and sobbing uncontrollably) ‘Because mummy is happy for you and this is exciting. If ever there was a finer example of the outside not accurately portraying the inside this was it. And then we were in a funny 2 week limbo of summer, a bit like the period between Christmas and New Year when you don’t really know how to feel. No longer a preschooler, not yet a school goer. I wanted to make as many memories as possible in this 2 week period. I stopped blogging. I just wanted to spend my time with my family so to those who follow me thank you for being understanding and affording me this time. We had some perfect days, amazing days, where I didn’t want the day to end. We had some challenging days where the days couldn’t end soon enough. A massive first, he learnt to ride his bike without his stabilisers. That’s how I’m looking at this transition. Like learning to ride a bike. 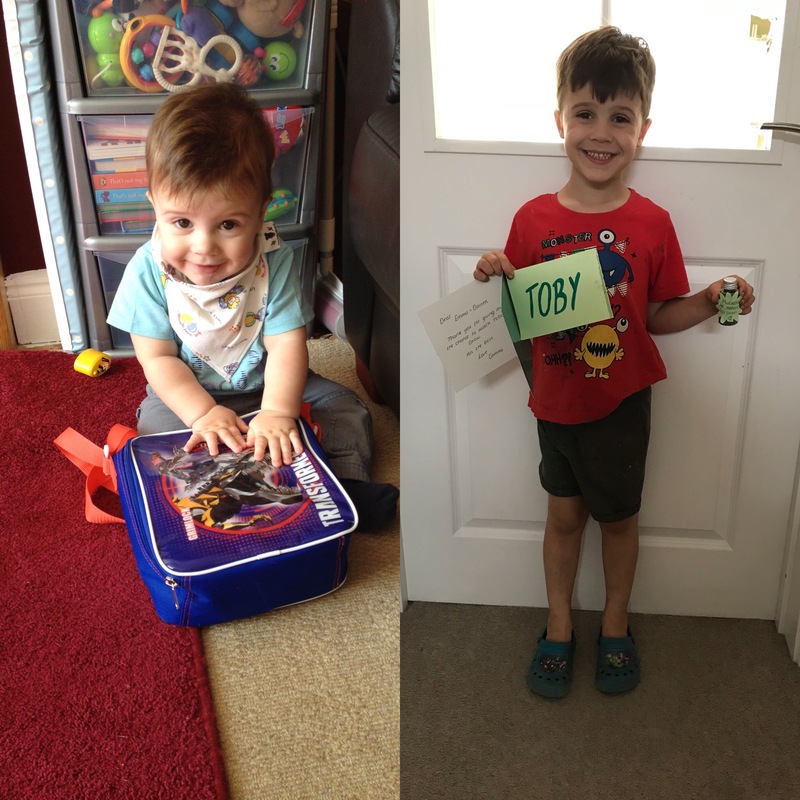 Preschool was the stabilisers and now having taken that away he’s ready to go to school. When we first took the stabilisers off I back breakingly bent over and held him tight the whole way round the block. I’ll hold his hand (if he wants me to) when I take him on his first day. The next time I didn’t have to hold on so tight, and a little less the next time until he finally went for it and I was just there, just in case. He had plenty of falls, and I’m sure he’ll have plenty more, but very quickly he became confident and started testing his abilities. I’m hoping this is what it’s going to be like in the first few weeks of school. 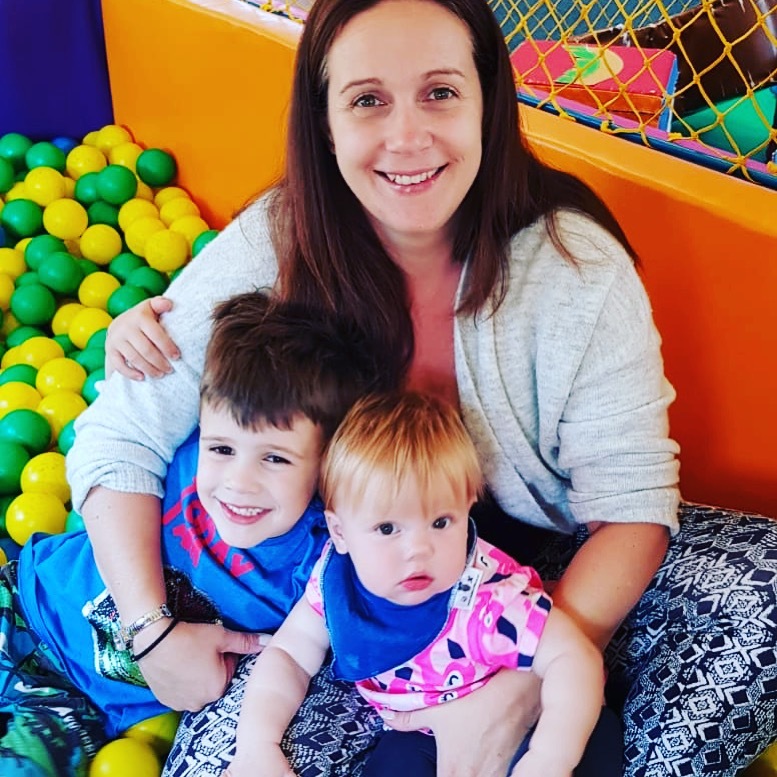 At first he’s going to be unsure, he’s going to be reaching out for me but slowly he’ll settle in, make new friends, enjoy all the new exciting activities and before we know it this will be our new norm and the only stress will be sorting holiday care out! I have no personal experience of this so can only go by what other people have told me. This is such a cute post, I hope he had the best time at school! Thank you. Difficult drop offs but we’ll get there I’m sure. Okay so I completely started tearing up reading your post. My son is 19 months and I know that this day has to come. I’m not ready. I definitely must borrow your idea of tracing his hand and writing something to keep as a keepsake. You’re doing great Mama! Love the blog! Your children are so cute omg!